Death row in Pudu Jail or is it Pudu Jail in Death row now? 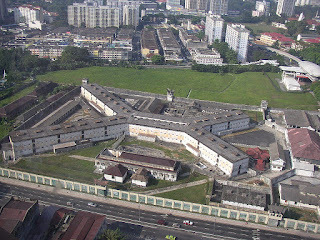 History of the Pudu Jail is found in this wiki website. 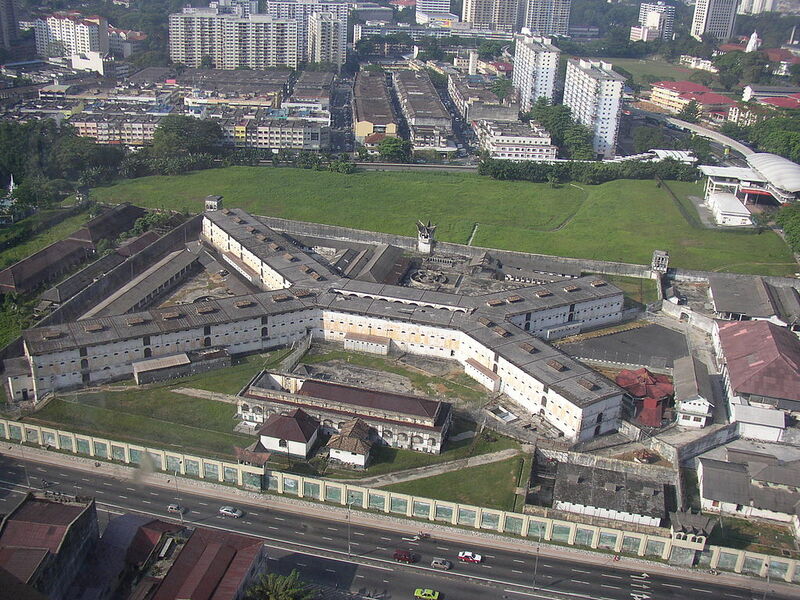 A history of the Pudu Jail can be viewed in the History Channel video above. The Eastern Wall along Jalan Pudu was first demolished for widening the road. This photo was taken from the Sun Complex building to see that the Eastern along Jalan Pudu is completely demolished. The Northern wall with the murals seen on it painted by a former convict who spent time in this prison will not remain for long also. This is the Northern wall seen on the right of the main gate and tower along Jalan Imbi. ...where the Northern wall joins perpendicular to the Western wall seen in the above photo. Is this the last prisoner being released from the famous Pudu Jail of Kuala Lumpur? No, it's just Me cheering Freedom, Freedom, Freedom! Checking to see the main gate is still there. Construction begins for the Bukit Bintang City Centre on the land where the former Pudu Jail was built on in 1891 and completed in 1895. Demolition of the Pudu jail started in June 2010 and by December 2012, all buildings within the Pudu Prison complex were completely demolished, with only a part of the exterior wall and main gate still standing. Photo from the wiki website link shared above. Video of the site from the North wall swinging from left to right or where the West Wall was to the East Wall which have been completely demolished. The Bukit Bintang City Centre building that serves as the office for managing the construction of the entire project is seen in the rear will lit up with the name of the Centre at the top zoomed in by the camera. The original entrance of the North wall preserved with the construction office lit up in the background. The Continuing Story of 7 that I started to tell on my oldest sister's 70th birthday celebration now continues on this new page in 2011 as the old page was getting too long to manage. The access through Merdeka Square was blocked. Was there a riot going on came across my mind with all the unrest in Egypt and Libya recently! The area was full of uniformed personnel but they were just looking up. They were all looking up into the sky to see the parachuters trying to land on the 'Padang'. I reviewed my photographs taken to find this shot of 7 parachuters! There was no riot. It was just a preparation for an Armed Forces Day performance the next day. 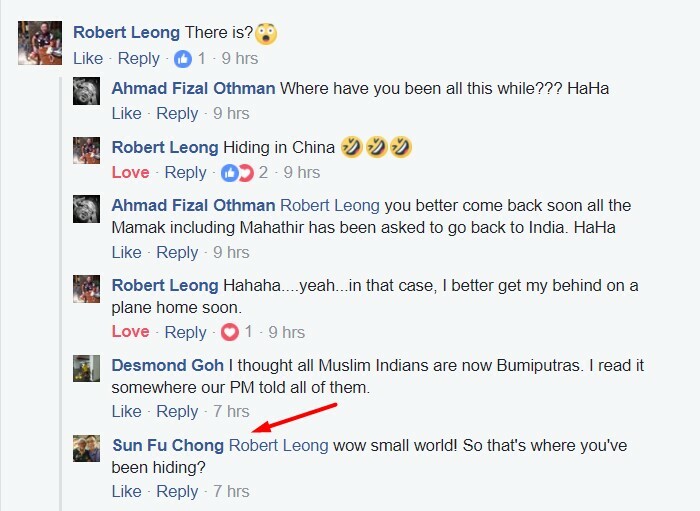 Aren't we lucky to live in peaceful Malaysia? You don't have to physically fight the government leaders but just vote them out without violence if you are unhappy. ﻿To be honest, there were more than seven parachuters that morning but taking a photo of 7 in the sky was coincidental! ... becoming even steep that one has to rock climb. I have a GPS in hand to check my bearings regularly as I was on this trail alone using self timer for this shot. Han was able to celebrate his achievement of 7As for his A Levels examination with his cousin Ying Er who also achieved the same 7As. 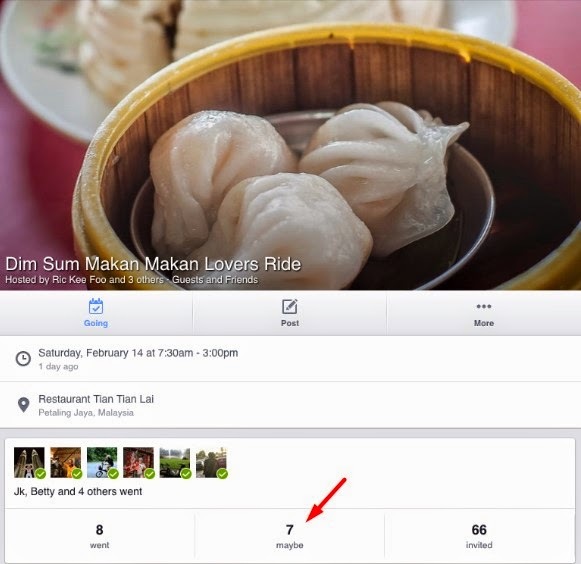 This event in Singapore is shared here. Han's exercise of faith and works from as early as 2012 has led him to receive a full ASEAN scholarship to study in Yale-NUS as shared here. Click here to read more about the above events with more pics and videos. As I finished the story, I pointed out the car infront had 7 on the plates as well in the car model of A170! I found a spot to park the car to have lunch and we had just started walking around in the neighborhood when she pointed to a mixed rice stall! She was even more amazed after hearing my story! After lunch we met up with﻿ her brother and she pointed out to me again this time to a motorbike with 77 on the plates in a shop that was just beside the college building of her brother. You can click on the link to the blog post given above to read the full story or click here. The Story of 7 is really only the tip of the iceberg of all that I have experienced and it has become a metaphorical answer that I use to explain miracles of my life. "How sure am I that the miracles I've experienced are from God? ", I've asked myself before others might ask me. My answer is purely a statistical response. It goes something like this...say you have two dices and you seek for a confirmation of something from God by 'rolling the dice' so to speak and all you have are two dices to roll and observe the outcome. What if you rolled the two dices 7 times and the number 7 total shows up 7 times in a row? 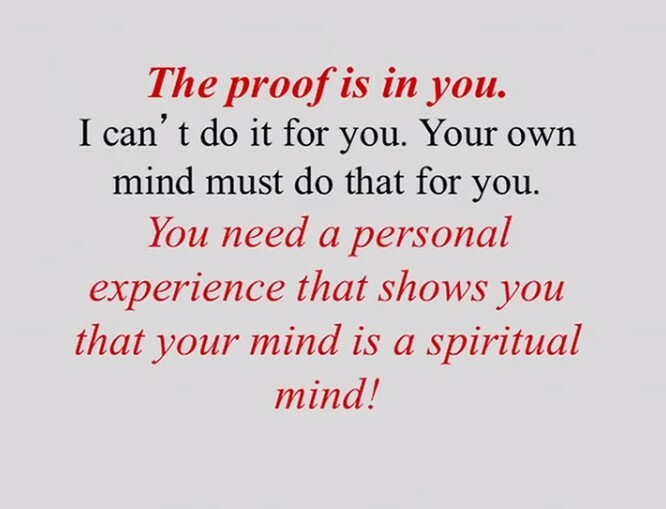 Would you believe that God had given you the confirmation you had sought for? Well, that is what symbolically happened to me in the series of events that occurred in my life. Without reference to divinity or any religion, I have used this simple metaphor in place of orally taking time to share the details of what actually happened which I believe had a divine intervention. 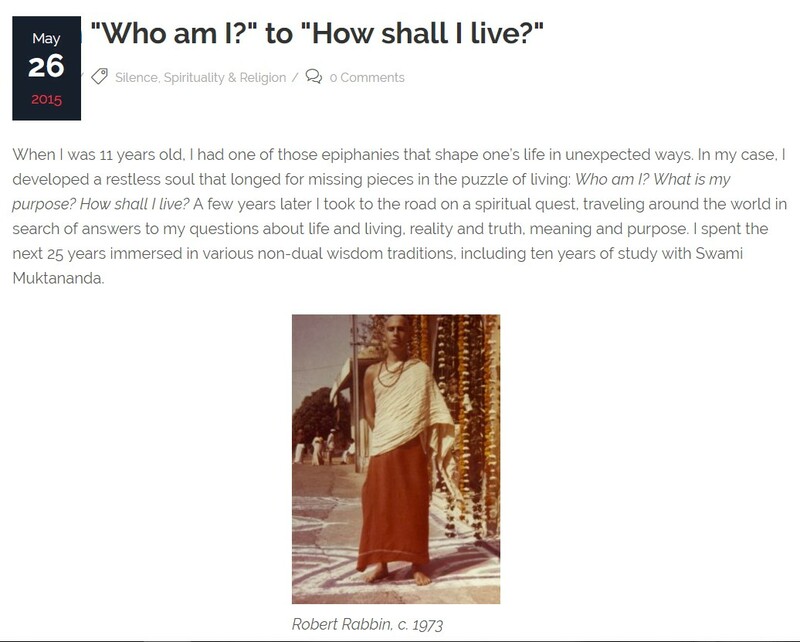 Full-length details are of course shared in my spiritual blog post, starting from here, where one can read a true and detailed account of my spiritual life as well as my thoughts, any time anywhere at their own pace without fear or favor. I realize that when reaching toward our biggest life's mysteries and deepest unanswered questions, words seem never enough and yet they are all we have. But I believe an optimal path can be chosen and that is one of simply doing our best to express what we feel and what we think or what we wonder and what we know. So in other words, The Story of 7 that I started in the beginning which consists of a strange recurrence of the number 7 in my life is symbolic of many other events of my life that appear to occur due to pure luck or a matter of chance but could strongly suggest a spiritual meaning to it from a divine source. So the story of what happened to me on the birthday of my eldest son on Oct 19 of 2014 will be the first of its kind that qualifies to be in this blog. Others posts that now follows need not have the criteria of the number 7 being in the story and will qualify to be in the Story of 7 post so long as it has a miraculous experience in it or one depicting a plain lucky chance had occurred as many would call it. In the stories I write, I try to reflect optimal accuracy by using photos or videos whenever possible and most times the best of what my memory helps me to recall objectively and completely. I am satisfied after doing so to let the readers freely choose their own interpretations or conclusions. There is an amazing story that comes along with the making of the above video clip. If you look at the time stamp of my facebook post above the video, it's Sunday morning of Han's birthday at 10.51am. Church for our family starts at 1pm and I am also Mr Mom preparing dinner for the night celebration. 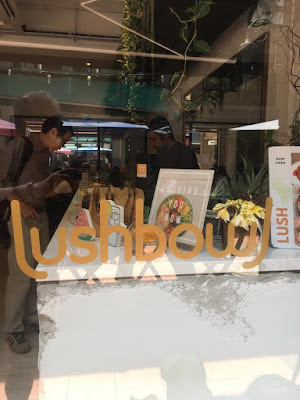 I had just arrived in Singapore the night before about 9pm and used the time to shop before midnite at our nearby 24hr supermarket to get all the ingredients for the next day's dinner as well as a birthday cake. I woke up early on Sunday morning with a goal to get a video clip done for Han for this blog post that I can share with him on facebook too. I had to select pics from my family photo files and create ideas how to present them. I was confident that with my computer storage of photos and my optimal brain for ideas, I could get the job done. The main challenge I knew was trying to use Microsoft's Movie Maker on my new notebook that was running on the latest Windows 8.2 which had a bug of no sound production since I had first tested it over 3 months ago but had no time to resolve the problem. Ray the youngest had woken up early and he was trying to do something online for his brother too. He became a witness for me of the miracle that occurred that morning. He knew I was struggling on my little project as I was talking out loud as I commonly do even on the facebook community lol. Normally I would then have to select some music to override the original sound track of the video after I've added pics on the video. Miraculously as I played the video clip, a Happy Birthday Han sound clip somehow took over the original sound track! I know I had this sound clip a long time back but I had not clicked any icon in Movie Maker to load that particular sound track nor go to my computer files to look for it! I was simply amazed at how things worked out so quickly and I did get to publish it before leaving for Church to arrive on time also! This little miracle reminds me that the same table where I sat by to make the video clip was the same table in Nov 2011 when Mom had just passed away and we felt she had switched off the power just at the moment we had lit the candles of the cake to celebrate the birthdays of Shuan and Jay together as recorded on this video. It is of course no coincidence the original video clip of Han above was taken in the same living room too! 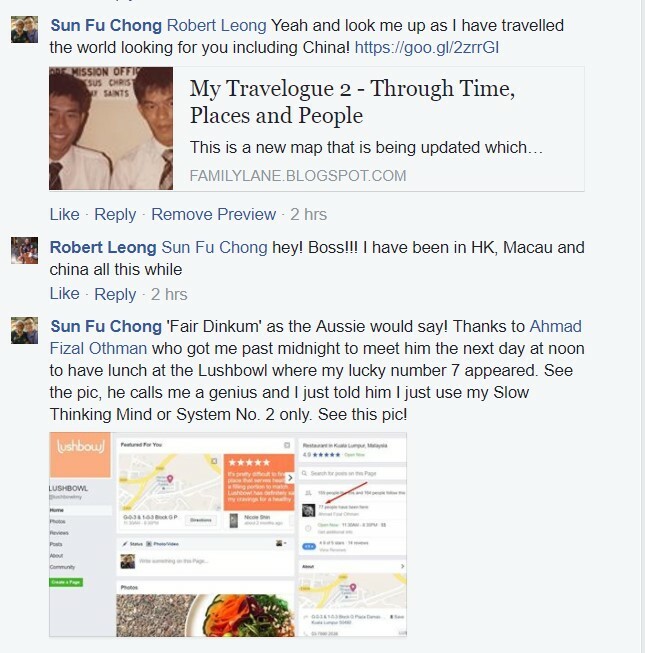 Soon after I arrived in Melbourne Australia, I made a facebook post found below that triggered the stories of my trip that was fast accumulating. 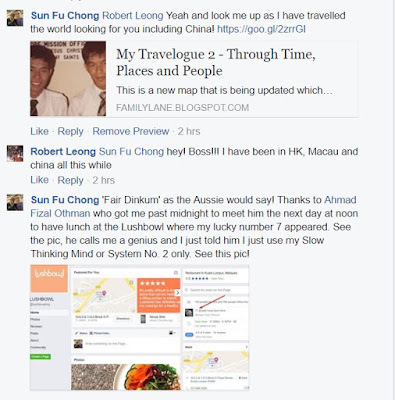 The special miracles I encountered to make it possible to reunite with my long lost friends is found in this post. It includes a video of how I retraced my footsteps walking through a park in Eastern Beach, Geelong to find answers to my earnest prayer that occurred in Dec 1979. As stated in the post, this act of reenacting my spiritual experience on the first Sunday of Dec 2014 was purely to familiarize myself with the terrain where it happened. This was desired as though I've never forgotten the spiritual experience that occurred on that dark night, I never did take note of what exact street address the apartment of the Elders was located at that I walked to. Furthermore, I have never returned to the park to retrace my steps in daylight to see the actual terrain I had walked on. I was the number 7 and last rider to show up and I guess the group didn't know why I was smiling but I always smile to others anyway! So this is the reason why this post is included here. I didn't know what the statistics would be on the event page the night before and captured the above photo a couple of days later to note that it was accurate as 7 did show up but I was surprised at our 1st food stop, we had an eighth person joining us. In fact I was surprised earlier that someone was taking our photo as we passed by the highway stop to learn later that he was the organizer of this event who hurt himself slightly in a recent fall so he had to pull out from the ride but could join us for breakfast. Everyone was high with humor and as we sat down chatting, we noticed that there was one sporting woman with us with 7 men so the group unanimously called ourselves 'Snow White and the 7 Handsome Men', an appropriate name we felt as it was indeed Valentine's day. By nightfall I decided to post some pics on facebook seen found below and created a special video that contained photos and video shots that were all taken on Valentine's Day and Night! I called it a Made in Malaysia production as it reflects the diversity we have in culture, music and language not forgetting the energy of the people! This particular year has been a major transition for me in my family life, business life, and church life! The transition made me busier to be engaged on all 3 fronts. I had to cut short my writings in my journals mainly due to the necessary conservation of my free time to be focused on summarizing my extensive research, experience or life experiments of the past years for the key objective of writing and publishing my first book. 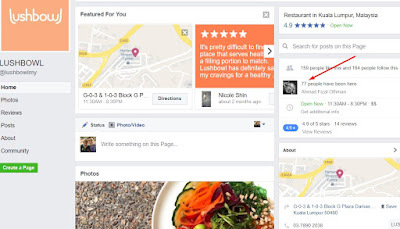 I have used Facebook to record many of my significant events and saved time in trying to create a detailed blog post from scratch so I've used Facebook posts to be embedded in blogger posts here. There were instances too strange to completely be shared to the public through facebook immediately and so there are some rare posts where I did spend the time to try to capture what actually happened in my more private blogger journals. Overall I have used all the technology I know from social media with Facebook, blogger, youtube, Vimeo, Microsoft movie maker, MacBook Pro iMovie and Google products especially using Android smartphones to synchronize with Chrome browsers on the PCs and notebooks any information relevant to my creation of stories in writing, videos or photographs, often all combined using the best of what Multimedia tools allow today. 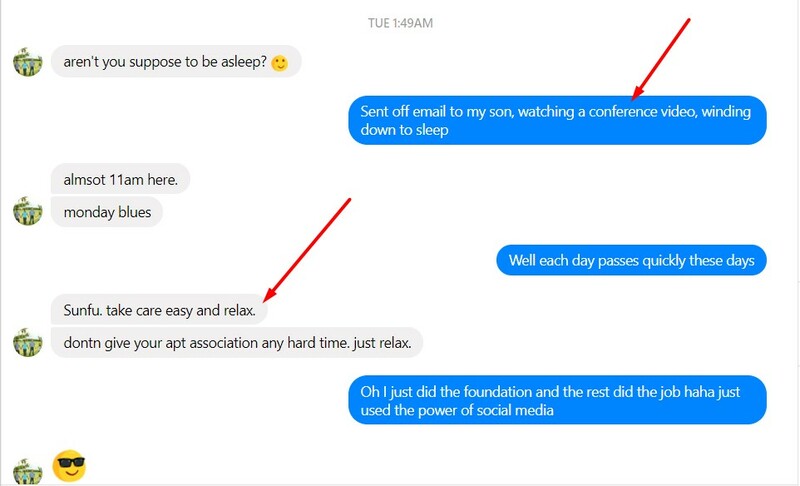 For connecting with the public for information etc, I used the smartphone with old sms messaging or Facebook messenger which are both that gets my prioritized attention. Other messengers, I use with both my Singaporean and Malaysian numbers, divided into two separate iPhones include WhatsApp, Gmails, Google+ hangouts, WeChat and Skype that I gave lesser priority to in checking messages. I will use blogger tools to give the reader relevant links to instances where what was experienced and recorded can be viewed by clicking hyperlinks. As my writings on blogger posts are tagged with HTML coding, a reader can be led to the correct post or any section of the post with the story that qualifies to be shared here, considered a miracle in my opinion, so that it can be quickly accessed without reading through the entire post unless the particular journal post is entirely dedicated to a miraculous experience! 22 Dec 2016 The coincidental experience while writing a 34th Anniversary post. I found time to visit an ex St John's Institution Alma Mater member living in Taman Tun and suddenly I was brought to my attention of a bird flying up in the sky. I rushed out to the balcony to capture this bird in flight with my camera! It appears to be an Eagle which happens to be the symbol of our school which is shared in a blog post I did for our grand reunion event that both of us had attended a few years ago! Interesting that I would not have had this powerful camera with me if I had not responded to help another ex SJI member in the morning of the same day to do a video coverage of an important meeting. My life truly has been filled with many such coincidences which I've had the interest to record them in my journals like this one about my bird stories which motivated me to write my first ever poem too! Click the comments icon above to read the comments I had shared or simply the "See More" prompt below. As they say, there is no 'Rhyme or Reason' or logical reason why this experience of mine should be mentioned 32 years later except... God is just continuing to give me what I've been recording as miracles in my life, to know that I'm being watched after and indeed I must testify humbly that he has never stopped blessing me! Despite all the opposition that has come to my life, from within and without, I have remained steadfast in my faith towards Him even though I know I am not a perfect man. 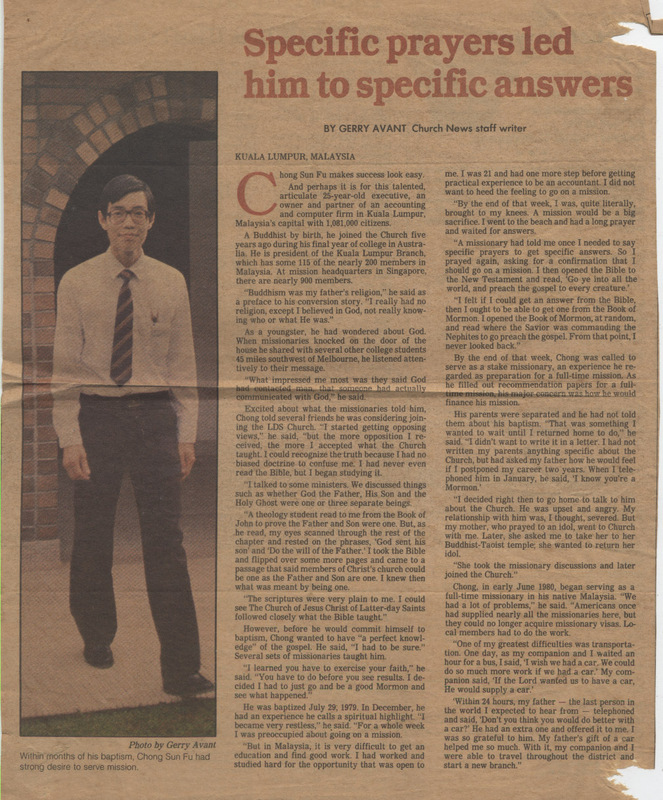 I have carefully been recording my life's experiences, after having embarked on an exercise of faith in the Savior for the first time when I was baptized on 29 July 1979 in Geelong Australia. The spiritual part of my life's story, for anyone interested, begins here. The other chronicles of my life can be found here. It has been an amazing experience and I'm living every day with joy and gratitude for all I have learned and capable of learning so that I can be more helpful to my family, friends, and community. I am grateful to have learned about the power of revelation as shared in this video below. 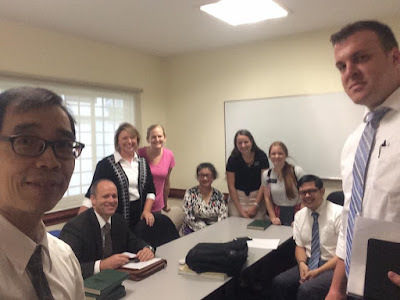 Elder Henry B Eyring talked about Family History and the inspiration to me is to follow up on my mother's Cheah family history by going to Penang again. Elder Russell M. Nelson talked about the Atonement of Jesus, perfect for my lesson to be taught at Church for the Gospel principles class as requested by Sharon. Just as I have been told by Church leaders, if you have a question or problem in your mind, you may find the answer by listening to the talks in the General Conference which I did! This is a spiritual miracle for me which I've taken time to record as I knew something special would happen. As I knew I would be busy in the year 2017 in writing my first book to be published, I merely kept my journal briefly in facebook instead of spending time to write them in my blog journals directly in the past. Due to advanced technology in social media today, I was able to embed my original posts from Facebook to a quarterly post. It is from there that I further transferred any event that I felt was a miracle to this special Story of 7 blog post. So the Chinaman really wouldn't waste the opportunity for a free ride on the MRT to Kajang and return. He was thoroughly impressed with the changes in the Chinaman Cochrane area with gangster schools that my father was afraid I would be advanced to for Secondary education from my Pasar Road English school! I was therefore transferred to the school Najib went shared here. I would remark that it seems quite a miracle that this country has reached a state of progress as what I could share from my pics and videos of the launch of our MRT system in Kuala Lumpur. Like the rest of the free world, we have our political fights and I'm glad since young, I had the vision and hope for this country shared in a couple of journal posts I've done. One is here and another there. According to the facebook link for Lushbowl, my friend Ahmad Fizal Othman was the 77th person to check in. See below. 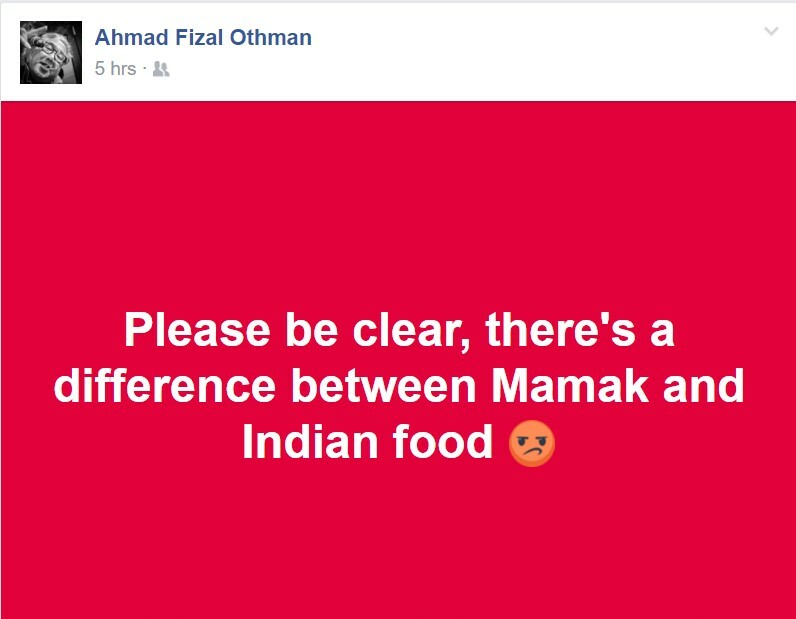 So the story continued that on the next day, 19th July, Fizal continued his facebook posts with food dialogues. To my surprise on checking the facebook page of Lushbowl that Fizal was recorded to be the 77th person to check in! 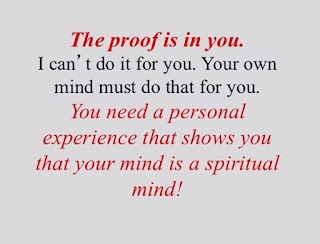 This post will share the truth about my amazing life and to understand why I had to start recording it early in my life as I knew then if I would try to explain to others later about my life, many may think I'm making things up or try to inflate things to be bigger than they are! I used to write them all in files or books of paper. Luckily in my career path, I made a switch from being a bean counting Accountant to become a Management consultant with IT based knowledge and experience. This had led me to be in Social Media today to share my Chronicles!!! Now at lunch time on 17/7/17 knowing that it was a unique day of multiple 7 numbers, I was expecting something to happen but wasn't sure what it would be until I turned on the television for the news as I was taking a break from my daily routine of research and writing work for my book. So I got to record the story of the day down, as shared above and it seemed like 2 days in a row later, I was hit with a good spell of lucky No. 7 experiences with more stories to share. Now on the 4th day or 20th July my mind was caught up in a writer's block in researching a subject on our 'Consciousness'. I was close to getting a breakthrough and even felt quite excited that I might have found a 'key stone' knowledge that would explain the miracles of my life which I had covered up with the number 7 Story title to make it sound like good luck! So when Linda surprised me to inform me that her son's birthday was on 17/7/17 too, I felt impressed to tell her on chat that she had inspired me to share something more in my open journals about some contents of my book, as I felt my writer's block or 'Gordian Knot' was getting unloosened soon, and that she should stay in touch to learn more of what I would share. This will be the very post to reveal my discoveries! 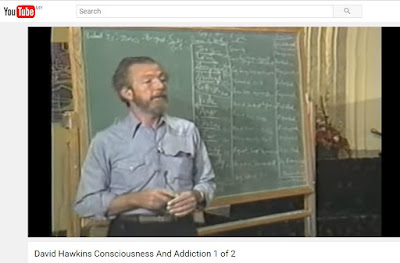 I watched his videos Part 1 and Part 2 that covered his personal lecture on his "Map of Consciousness" which is no longer available in Youtube due to copyright reasons that Veritas Publishing commercial site seems to be enforcing. 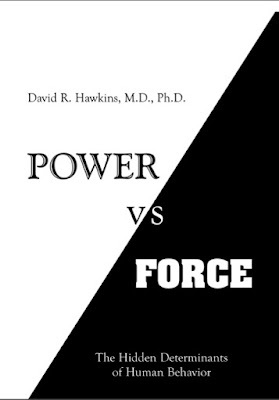 As an alternative, we have New Realities videos with Allen Steinfield interviewing David Hawkins here on Power vs Force interview Part 1 and Map of Consciousness interview Part 2. When I got up, for some reason, there was a dark colored book beside my bed, not from the stack that is seen in the other photo above. The cover suggests a mystical book that I had bought some time ago but never read it and decided to read it. 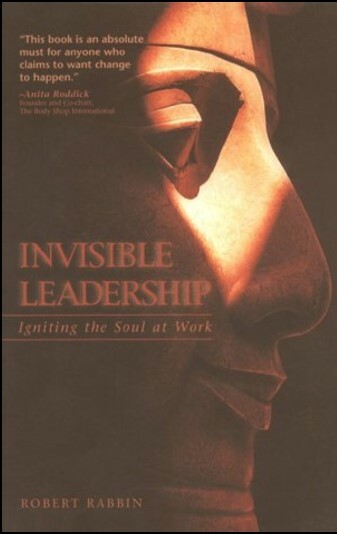 The Book is by Robert Rabbin a mystic. Here is a brief story of his life. I went out of my room to search more on the internet. Of course, I had to find a title with No. 7 on it which is very enlightening to read by clicking here. This is the every Monday activity I call an online family home evening with my children spread out to as many as 6 locations on some days as they travel too! On Mondays, I would look forward to an email of our 2nd son Woon Shuan serving on a voluntary mission where he earned enough to support himself to serve a calling for our Church who sent him to the London Mission for 2 years. He could do this as he had served the Singapore Army for 2 years where he as well paid as a Lieutenant. I was impressed to share his email on this post. Many things have happened this week! On Monday evening, we had a lesson with our Portuguese investigators. At the end of the lesson when we were about to go, they suddenly brought out food! I noticed that Portuguese love to share food. It's actually part of their culture. My ward mission leader is also Portuguese and after he explained the history of Portugal it made a lot of sense. The oppression they they faced under a dictator in a way made them learn to take care of each other. They actually had a peaceful revolution in April 25 1974! On Wednesday we had exchanges! I spent a whole day with Elder Yamada from Japan! It was so fun to serve with him. He is full of faith and is always excited and positive about everything! He got along with one of our investigators who's is actually pretty similar in nature! You can see a little bit of our drawings to explain the different groups of people that were led to America that are mentioned in the Book of Mormon. It's really so exciting to teach people who actually take the time to read! At the end of the day, we were blessed with Costco Pizza! The member who got it for us was truly inspired. She normally buys us 1 pizza which is more than enough. Somehow she decided to buy 2 when there were more missionaries because of exchanges! We didn't tell her there were more missionaries! The day after our exchanges was interviews with President and Sister Stevens! After looking at the photo, one of the missionaries commented that we're a super district instead of a zone. I found that to be rather true because we're quite few in number. However, we heard that there will be 32 missionaries coming in next transfer! Counting out the leaders in the mission, it probably means almost everyone will be training or follow-up training next transfer! You know summer is ending when they start gathering in the hay into bales. I'm not looking forward to winter at all!!! We had a miracle lesson after interviews as one of our investigators who dropped us last week decided to come back. To make it even better, his boss has allowed him to change his shifts so he could come to church for the first time this week! On Friday, we had a lesson with another one of our investigators. After listening to his life story, it is difficult to not believe that God has led him to the church. He has been coming to church since February. He is waiting for the right time to be baptised... we're working on it! My most spiritual experience in the week was on Sunday once again. This is actually related to last week when we learned of a member of the ward who had a strong testimony of the gospel and lived all of the commandments which she knew except one, which was coming to church. What has prevented her is the severe social anxiety she has and it's the worst I've ever seen. We were given permission by bishop to administer the sacrament. She had not partook of it for almost 2 years and broke down in tears when we offered it. We did so, shared a spiritual thought and gave her a blessing. This week, when we went to visit her again, she was completely different. No longer depressed, but bright and full of hope. It was as if there was a glow in her countenance. This experience reminded me of one of the people I taught a while back. During that time, I saw a gradual change in her which was amazing. This time, I saw an almost immediate change. Partaking of the sacrament renews the covenants that we made at baptism. It is as if we're being baptised again. This experience made it very obvious for me. Now it's just Elder Birch and I. It's kind of strange for me having been in trio for so long, but I'm looking forward to the remaining 4 weeks with Elder Birch in this transfer! The above double rainbow had to be taken in 2 parts as my camera couldn't take the whole arch of the rainbow seen over the Provo Temple in the summer of 2005. I guess the photo cameras then didn't have panoramic switch for wide angle scene shots nor a built in video capability to capture the whole scene. This is the start of last quarter of the year, a critical one for me as is my last quarter to complete the writing of my first book targeted to be published next year. In order to focus time for my book, I have stopped several important things that I do in my life. I slowed down the progress of my Socialpreneur business plans, cut down my trips and time spent in Singapore including my other overseas trips, reduced my writings on blog journals like this one by merely making quick posts on facebook and embedding relevant posts from there to my Body Mind Spirit blogsposts or named Familylane Fastlane Spiritlane blogposts respectively. 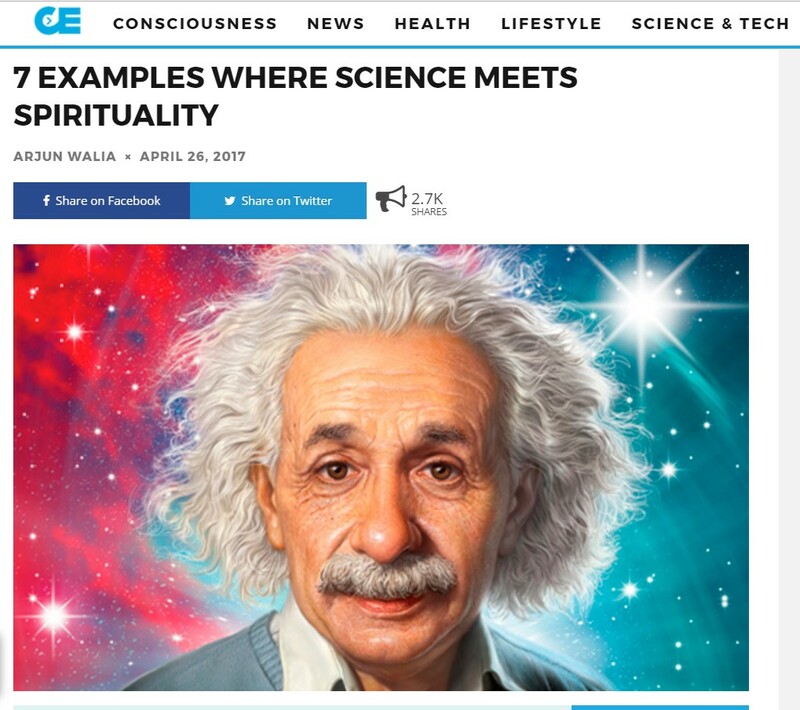 Now this blogpost of the Story of 7 was specially created to record unusual coincidental events or those of spiritual nature that can be deemed miraculous that I could share from my life. On this significant day, being a Sunday, I had the feeling that it would be quite a busy day for me to be occupied by two organizations requiring my participation. Firstly I had Church meetings that would start at 9am for Branch Council, followed by further meetings of 1 hour each starting at 10am for Sacrament, Sunday School and Priesthood meetings ending at 1pm. Next was an Annual General Meeting(AGM)of our apartment required by the Strata Titles Act of the country where registration by owners or their proxies would be open at 10am and I assumed that the meeting would begin at 2pm as was the same time in all the past years. As Saturday night approached, I decided to go to bed earlier than usual seeing my following day would be full. Live General Conference sessions would be available on the internet for the Saturday morning session occurring in Salt Lake City, the Church headquarters but would be too late for me to watch them in our local time in the middle of our night. This Sunday, being the first Sunday of the month would also be our Fast Sunday so I did fast and pray for the next day tomorrow that all the meetings would turn out well. I woke up about half past seven in the morning and felt all priority should be given to the Church meetings and when I left the apartment about 8.30am, I told Sam the new office employee that I had urgent and important meetings from 9 till 1pm and could only come back immediately after all my meetings, thinking to bring my sound system in time for the 2pm AGM of the apartment owners. The first meeting at Church went well. Seen in the photo below is after a fruitful and spiritual Branch Council meeting of heads of all branch leaders led by the Branch President Boyd seated and wearing a coat and tie. We often hear the Church referred to as a democracy, when in reality, instead of being a church where the body is governed by officers elected by the members, the Church is a theocracy, where God directs his church through representatives chosen by him explained here. After 1pm I rushed back to the apartment meeting which I referred to as a democracy type meeting when I posted in Facebook a report of the AGM. One can click the blue Facebook icon below to see the entire post including more information in the details that I have added to the comments section of the post. To my surprise when I went back to the apartment to attend the AGM, I discovered that I had the wrong notion that the 10am registration of voters was only a prelude to the meeting in the afternoon at 2pm. There was food catered to be served before starting the meeting after registration so when I got back about 1.30pm, the meeting was actually at the tail end. I found that the result of the elections was very satisfactory to all the owners who lived in the apartment as they did not like the way Mr Philip Yap ran or ruled the management office as explained in this detailed TalkLaneNow post that I created in Social media. This experience taught me the power of social media to bring justice to the communities of a democratic country where I wasn't even needed in the actual voting meeting itself! Steven Kok in the US saw my 'Democracy is Alive' post and sent me a message below past midnight on my Monday morning. This message became significant to me only a couple of days later on reminding me to relax. Read further below to know why. I found time to watch the recorded General Conference talks and was deciding which Apostle I would listen to as it was late and I just had time to watch and listen to one only. In deciding who to listen to, my mind thought of the Apostle who performed the sealing in Su's sealing to Jay in 2011 who was just newly called i.e. Elder D. Todd Christofferson whose title of his talk was "The Living Bread Which Came Down from Heaven"
After the Sunday AGM and as recorded in my video, the resolution was passed by majority present to give every unit back the one open car park space. However, in the first few days of the new week, I met one newly elected council member who informed me an office staff who had written the minutes of the AGM had somehow change the resolution of the open car park space entitlement to every unit to become not a properly approved resolution in the official AGM but only to be an item proposed and to be decided by the Management Council in their meeting! Now, this was a complete change in words to be recorded in the minutes of the meeting that will be enforced by the laws of the land. I couldn't believe that he could do this as we had a good Chairman in attendance, even the Chief of COB in attendance to monitor the meeting as a representative of the meeting plus my video recording of what exactly happened on that Sunday afternoon. The video was possible as it was one of the last 3 items of business raised at the end of the meeting when I was present in which a proper vote by show of hands was counted with no opposing votes by show of hands, meaning it was a unanimous decision of the AGM. It was Monday late morning that I heard about the wrongly typed minutes my immediate thoughts were that this must have been a deliberate act of the staff with some collusion with Mr. Philip Yap whom he had reported to previously and had hired him. I decided to walk into the management office to talk to the staff about it on Tuesday, Oct 3 morning. My emotions got the better of me and I roared at him, releasing my frustration over the matter and left the office. As I contemplated over what I did later on Tuesday night and listened to more conference talks online, I felt the need for personal repentance. In the late morning, I walked into the office and apologized to the specific staff for my uproar on the previous day and he too apologized to me for the mistake. My year of the Dog with so many exciting things, even miracles, are expected to happen in this auspicious year where I'm 5 x 12 years old, where 5 is the number of times I have completed the cycle of the Chinese Almanac calendar year of 12 animals, being one who was born in the Year of the Dog in 1958! Many miracles already started in the Chinese New Year and also had occurred in the year before this too which I have written or published some above but left out some others as my time to write my own journals has lessened due to the focus to complete my book project. No valentine date for me on this special day but a special friend and church member passed away on this day to change the meaning of Valentines for me from romantic love to the love of a Spiritual kind. I was still around in KL on this day. For the first time in a long time, I did not go to Singapore to celebrate the Chinese New Year with my family. I was wondering why I decided to do it this year! Just past 6pm in the evening, I got a message from Susie How that Anthony Lim's daughter Vivien had just contacted her to inform her that her father had just passed away. I immediately felt I knew the reason why I was meant to be in KL. Another little miracle in my life again! In my talk, I had mentioned in my opening remarks that I sometimes think I caught the brain of Anthony Lim as when I talk to people, sometimes they don't understand what I'm saying! I also mentioned that he 'dreams dreams' and because I have a testimony of the Gospel of Jesus Christ, with many miracles in my own life, I believe I understand brother Anthony Lim so much better. Take time to scroll up now to read what this 'Story of 7' post is all about if you are not familiar. One will find, in briefly scanning over what I've taken time to record above, that I have basically shared unique experiences of my life that have occurred in the past years. Now as explained in a paragraph found further up above this post, the true stories I've shared in this post are what I have deemed to be miracles in my life. 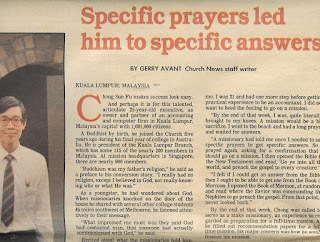 When I first came home to KL to meet Anthony Lim for the first time in Feb 1980 at Church, I also had a series of experiences behind me that would qualify under the Story of 7 too but have not included them in detail yet in this post as they occurred a long time before I had started this special post. I feel timely to do this now as Anthony was a man of Vision who 'dreams dreams' and I shall begin to explain why I said I have acquired his brain and can understand his so much better. Fortunately, when I joined the Church in 29 July 1979 in Geelong Australia, I was impressed by the Church leaders to write a personal journal which I did roughly on sheets of paper. It was only when I was officially called to serve as a full-time missionary that I started writing daily in a hardcover book especially from my mission time. After my mission in 1982, things happened so fast. My mother passed away, I got married to a lovely woman on Dec 22 of the same year who later gave birth to 6 wonderful children for me. It was not until 2005 that I started to write my journals online first with Familylane for family/friends' stories. I later started on Spiritlane for my Church experiences with selected extracts from my old written mission book journals as well as my early personal conversion experience that was written on loose papers but properly filed. Fastlane was the last to be started that covered my Work or Mind matters that came from my lifelong learning lifestyle. Source : Lothar Schäfer, a scientist where the above quotation is from his video. Reading the above series of events I wrote about that happened to me should make it clear that I was already charged up in my spirituality enough to understand Anthony Lim whose life before mine was already very spiritually in tuned. We learn from his history that at the request of his mother, when he was 17 years old, Anthony T.K. 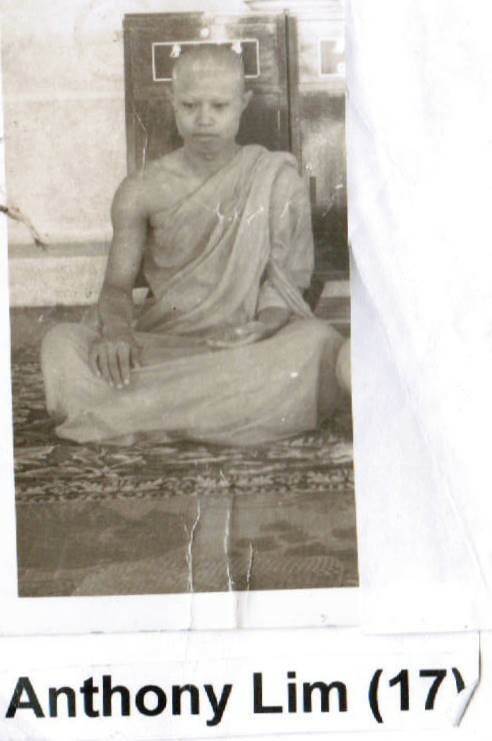 Lim was ordained as a Buddhist novice monk, upon the death of his father. She believed that “when the sons held the priesthood, it would help absolve the sins of the family and spread blessings for the family.” Thus he became very active in Buddhist temples and was a youth leader. Over the years, he had been exposed to other religions – Catholic, Bahai, Islam, Hinduism, Jehovah Witness, Seventh Day Adventist, Methodist, etc Because of being familiar with many different faiths, he felt that if he was to be a leader of people, he did not want to lead people astray in religious living. So, he asked, “Which religion is correct?” He had an interest in Christianity. 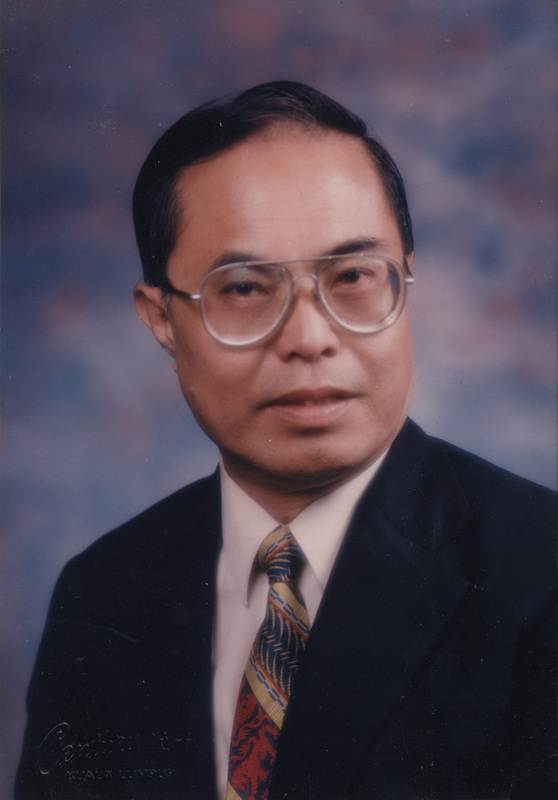 The last Christian faith to which he was introduced was the Church of Jesus Christ of Latter-Day Saints by his cousin Jon Lim, of Singapore. Love kindness and humility is what he has exemplified in his life as a disciple of Jesus Christ. Beyond that, he has manifested exceeding faith in miracles and acts positively to all situations. Interruption... received a WhatsApp message from the missionaries from KL branch wanting to shift our correlation meeting usually at 5pm on Thursdays weekly at Church to 3.30pm at a further location in Wangsa Maju near the LRT station! I just read the message about close to 3pm and responded I can make it! The only way to do it is to shoot there on my motorcycle but it was dry before I left. 5 minutes out of my apartment I felt some light drizzle. It got heavier towards the direction I was heading to so what came into my mind? I remembered Anthony Lim always declared he would pray for fine weather when there was an important event outdoors. I immediately spoke to him verbally riding in a weather that was turning from getting bad to worse saying, "Anthony, please talk to Elijah the prophet or someone there who can stop this rain for me as I have to get to the missionaries meeting!" 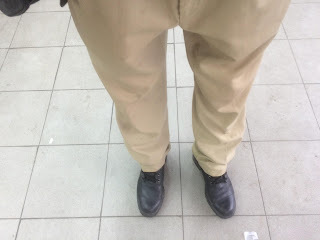 My pants that only got slightly wet thanks to the holding back of the downpour got dry quickly during my meeting. I mentioned the prophet Elijah as I remember him well as the prophet in the Old Testament who could control the weather. I actually invoked his powers of Elijah with my faith one time while I was in Singapore where there was a drought for over 3 months and most of the green grassy patches had turned brown, You can read about that experience in this special blog post I wrote a report of what happened by clicking here. 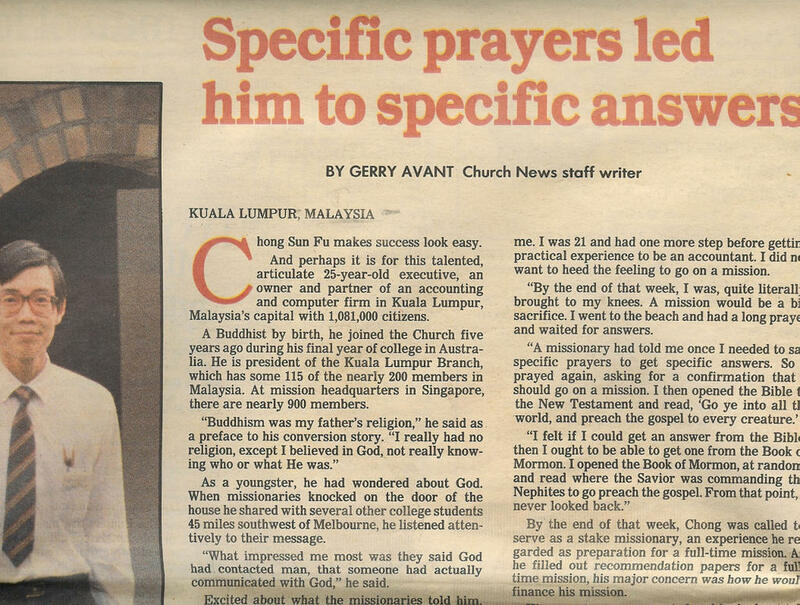 This whole blog post is now turning to a recollection of the miracles in my life to be shared because I'm inspired to do so while preparing the Memorial post for the longest-serving BML Branch Mission Leader of our KL branch on record and a very effective one too. 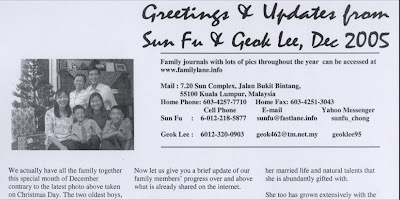 I just came back to stay longer in KL in the year 2016, compared to the time I was shuttling from Singapore to KL back and forth, as I felt my remaining 2 youngest boys did not need me anymore as they have grown up compared to when they were 15 and 17 when my wife passed away. 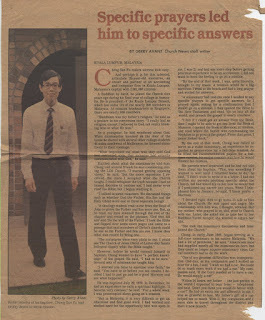 My life's journey to come back to KL branch to serve as the BML has a post that covers a bit of history of the KL branch that is possible due to Anthony Lim who was a writer/chronicler like me with the only difference in that he didn't have an education in the field of computer technology as I have had. He has spent some time working with me in the different businesses I had started in my younger days and I did teach him, as well as all my other staff members too, how to use the computer but specially taught Anthony how to blog as he had very good English and loved to write. Thanks to his daughter Vivien, she reminded me of his Joylink blog found here. Rushing now to Kuantan for more meetings there and this will end this spiritual sharing that came about on the passing of my good friend and brother, Anthony T.K. Lim. The date of this trip is 3 Mar 2018, about 10 days after the funeral of Bro Anthony Lim where this section of the Story of 7 post would cover the spiritual connection that he and I had in our lifetime. Anthony's passing has fortified the need for me to share more of the real miracles in my life directly or some would like to classify them as coincidences, which my metaphor of rolling two dices would apply. This SpaceTime-Travel transition is important as while taking time to write the spiritual part of Anthony's life connected to mine, I had to transverse time zones of the past before I first got to meet Anthony to a current date where an interrupted message caused me to rush to a meeting where my spiritual connection to him was manifested even by a recorded video above. I have also had to transverse through different space locations by referring to different blog posts using the HTML-link explained above. So we jumped to different time zones and different space locations in my writings, seeking to better appreciate the miracles of Anthony's life and mine. He was a great man to have done and gone through life the way he did with stalwart faith, unceasing energy and a great love of God and his fellowmen. Thanks to Anthony's inspiration, I will continue my Story of 7 post with more small and great miracles to share. 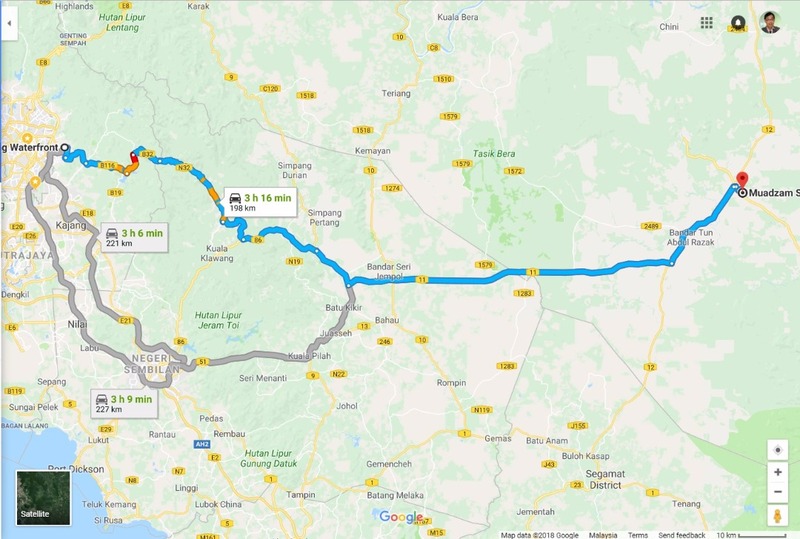 This will ease into my Kuantan stories below where the trip to Kuantan will serve as a good transition phase to begin sharing more true stories or miracles over my lifetime archived under the heading of this Story of 7 post. Click here to have a larger view of the map above showing the alternative route I took to reach the first destination of Muadzam Shah from Ampang town in KL vicinity and for the second part of the journey from Muadzam Shah to Kuantan, click here. I enjoyed stopping along the way to take some pics of the hills with some interesting amber-colored tree almost like the ones I've enjoyed seeing in Utah during the autumn season. Of course I have to say hello to these wild dogs from the forest! I made a short stop to an aboriginal village along the way, seeing that they live in better housing and conditions as it is a government supported community unlike the village our Church members rendered humanitarian service to nearer Kuantan the year before seen here. ...and a family of the orang asli people or aboriginal tribe. 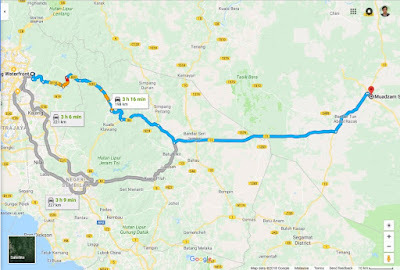 Just as I reached Kuantan, I got a real surprise or a little miracle at the end of my journey where my body, mind & spirit had been in a most optimal state! On Feb 6, I watched a video of this man above, a politician named Rafizi Ramli went viral with follow-up news on the next day - "After seven years of trial, PKR vice-president Mohd Rafizi Ramli was sentenced to 30 months' jail by the Sessions Court today for exposing the bank account details related to National Feedlot Corporation Sdn Bhd (NFC) and its chairman Datuk Seri Dr Mohamad Salleh Ismail." I was blessed to take a photo with this humble politician of our country who took a brave step of exposing corrupt government officials, a prevailing trend in the nation's administration! I have been a loyal citizen of our country who has done my part in nation building, spiritual strengthening of my family and my community plus making a stand against corruption too. 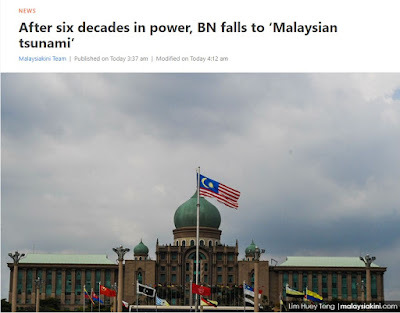 As a chronicler, I have been recording the political history of Malaysia here. I felt sad and frustrated over the plots or schemes occurring in our government. The only thing I felt I could immediately do for Rafizi Ramli was to pray for him and his family! I was blessed with not only taking a photo with the Man but had a brief conversation with him too. More miracles occurred at the Church front in Kuantan. Just before the Chinese New Year, a former Bishop and friend from Singapore contacted me to try call a number he had of a Sister from Singapore who married a Malaysian over 10 years ago. The number didn't get her but the person who answered gave me another number and I finally connected to her. She was in Kuantan all the while. 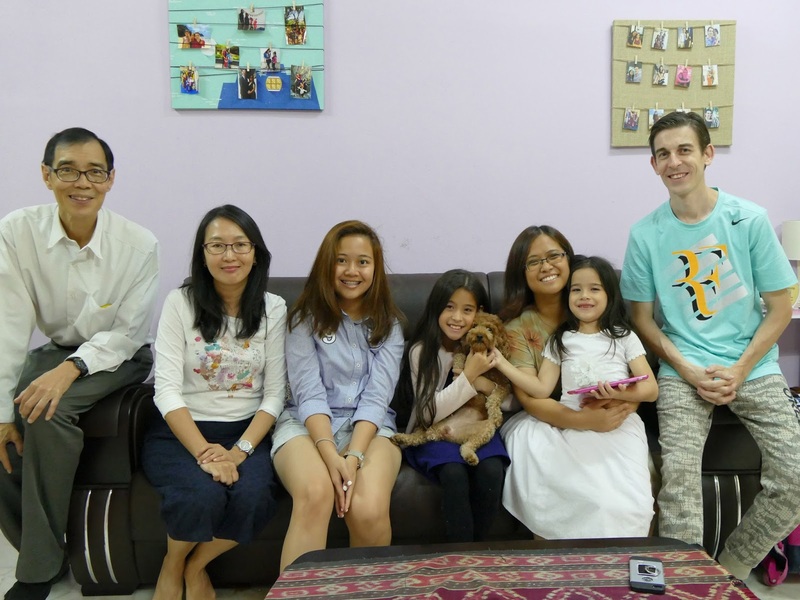 I rejoiced to meet her and her daughter on my left to introduce them to the Horne family who has been faithfully running sacrament meetings in their home as a Group leader of the Church in Kuantan that happens to be under our KL branch. The "Real Mother of All Elections in Malaysia" took place on this Wednesday of 9 May shared in my GE14 journal. 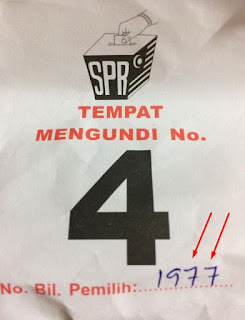 I got my double lucky number for my slip of paper to go to room 4 to do my duty to my democratic country of Malaysia to cast my vote as I have always done according to the Constitution of my country. 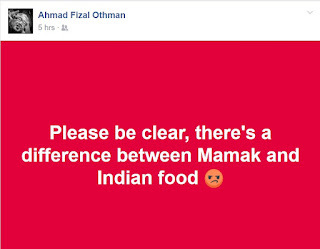 I am a proud to be a Malaysian to have raised 6 children here by my wife and I who are youngest of 7 children and relented not to have no 7 child as she asked for a break haha! My contribution of being a Malaysian is shared in an Independence or "Merdeka" journal post and my stand against corruption in the country is also recorded in many places since young found here and here. When I turned 58 years of age, born in the Chinese year of the Dog in 1958, I made this video at the height of my participation in an anti-corruption street protest by peaceful Malaysians where I couldn't help but cry as I was filming the masses of people marching into our KLCC Twin Towers. Since my first participation in my first street protest of Bersih 2.0 in 2011 to today's election results in 2018, 7 years had gone by to remove what we believe has been a major ruling political party turned corrupt in the government. 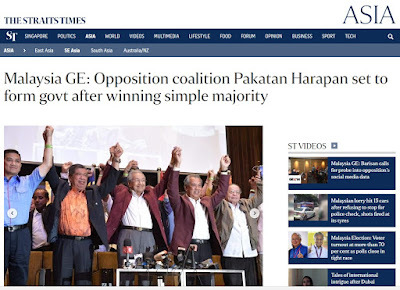 The number of 7 years to reach the achievement of this day is another reason why the GE14 experience should be in this Story of 7 post. Click here or the photo below to read the news. A 7 years memory post appeared on Facebook on 9 May 2018 from my friends in Africa, how nice!